If you're shopping for a mount or kneeboard you'll quickly have to answer the question, "which iPad do I have?" It's not as simple as it might sound, so if you're not sure which model you have, you're not alone. Please note that we loathe the naming convention Apple has chosen for the iPads as much as you do. It’s difficult to be sure which iPad you have but if you need to look that information up here’s how you do so. 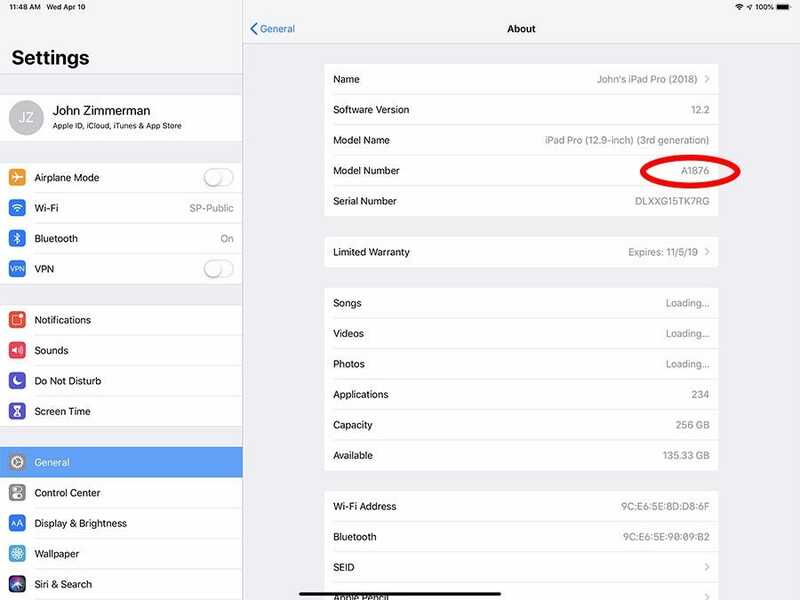 The easiest way to determine your iPad model is to go to the Settings app > General > About. You’ll see it listed here on the Model line. If you see a different format of the model number (something like MTFL2LL/A), tap on it once to view it in the format below. Once you've found your 5-digit iPad model number, reference this chart to find out which one it is.